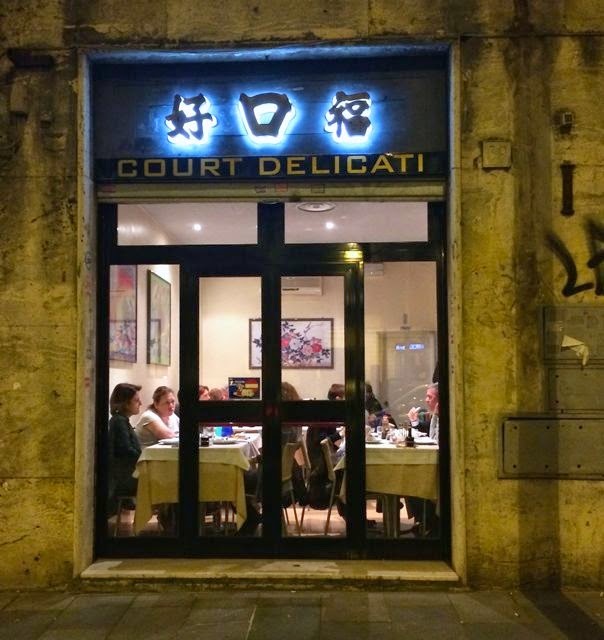 Court Delicati was one of the very first asian restaurants in Rome and it remains one of the most revered. 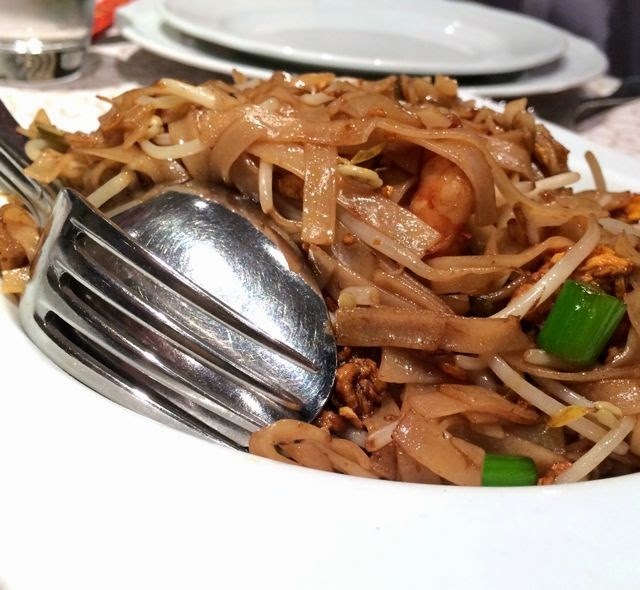 It is probably best known as a Chinese restaurant and it does have an extensive Chinese menu, but it is in fact owned and run by a Malaysian. Since I am usually the decider for all things food in our house, I love nothing better than trying a new place and having someone else order for the table. Particularly when it is a cuisine I know absolutely nothing about. Our host and his wife are friends with the owner and knew exactly what to order. 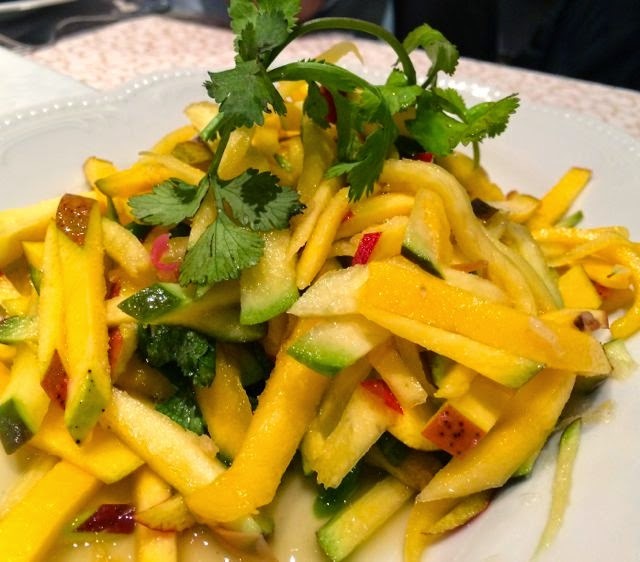 Almost right away we were brought plates of sweet and spicy mango salad, tangy rice noodles with prawns and the most exotic green bean dish I have ever tried. 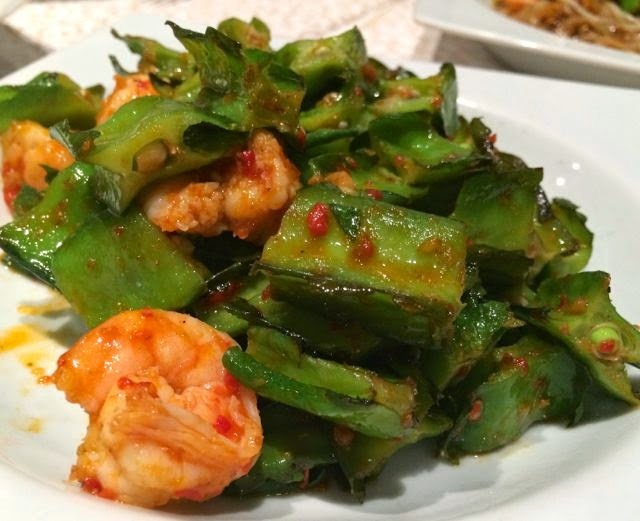 Known as a wing bean or a four angle bean, it is found all over south-east Asia. At Court Delicati this unusual bean is served steamed until just tender and tossed with prawns and sauce with just the right amount of heat. 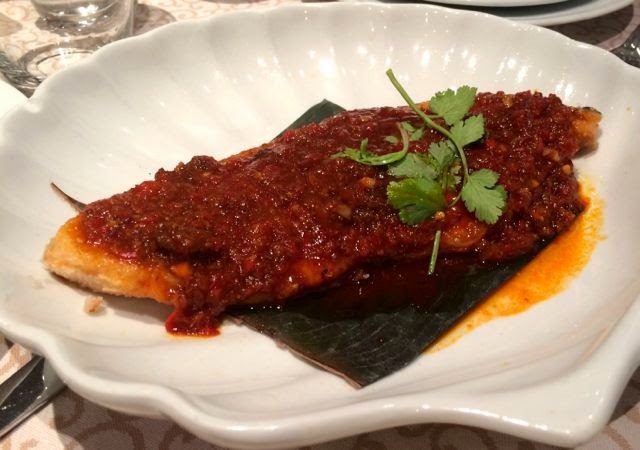 We also tried a piece of swordfish topped with a slightly sweet, slightly sour tamarind sauce. For dessert we went next door to il Gelato, which is right and continued the flavor exploration with scoops of mango and habanero pepper gelato. This time of year is about beginnings. My husband has a brand new job, we have made some new friends and I have a new favorite vegetable. I always crave spicy food when I'm in Paris... The grass is always greener! :) Have you read a food memoir called On the Noodle Road by Jen Lin-Liu? 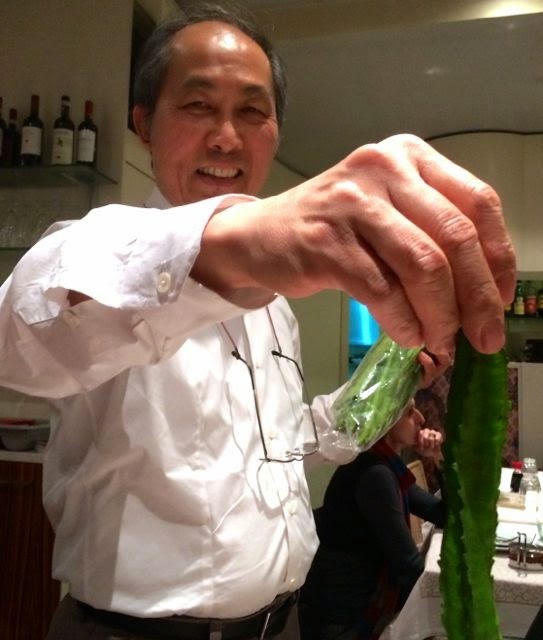 She traces the history of the noodle from Asia to Itlay and has a fun scene in an Italian restaurant for Chinese tourists in Rome. @Ann On the Noodle Road is on my summer reading list!